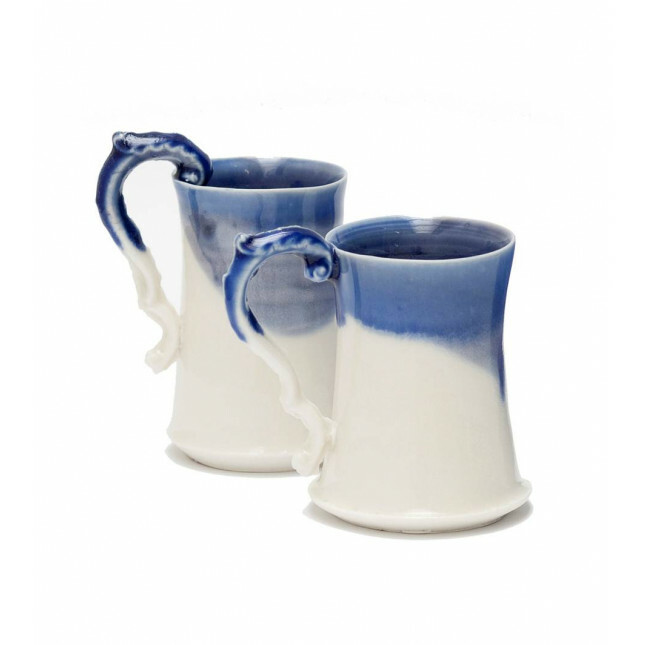 Wonderful and stylish hand thrown porcelain mug with a press moulded handle. Glazed in shades of blue, grey or plum that naturally compliments the natural warmth of the porcelain. Please note these items are sold individually. Please note that the mugs are handmade and, as with all designer ceramics, small variations may occur from the image shown.